It’s a great idea to get involved in #ALW2018 by running an event in your community. 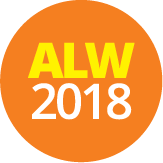 There are five prizes of $1000 each for adult education providers that run the best #ALW2018 event. We are looking for learning events that capture the spirit and theme of Adult Learners’ Week and are inclusive, engaging and fun. Here are some instructions for adding a ALW event 2018. The image should be at least 425px in width and height. Start typing the Venue name in the select field above. Start typing the Organiser name in the select field above.